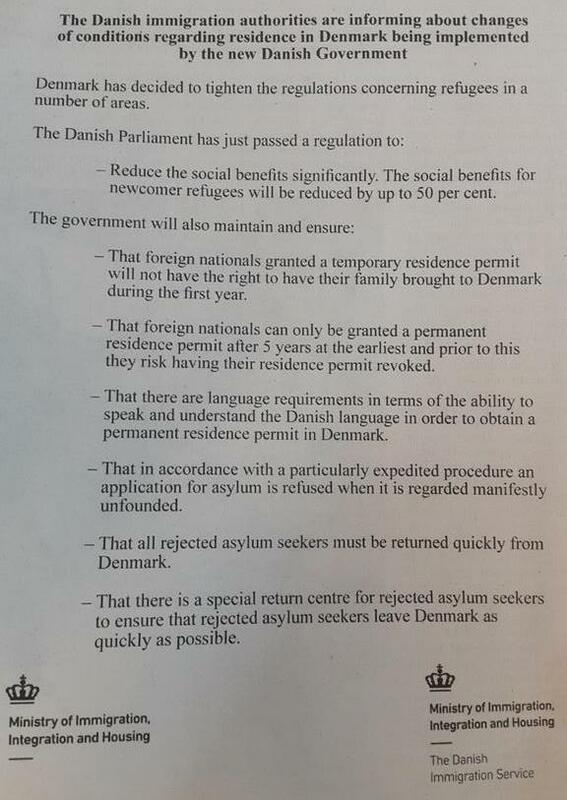 On the 7th of September 2015, Denmark has placed advertisements in four Lebanese newspapers announcing tighter regulations and cuts in provisions for asylum-seekers, in order to warn off would-be asylum seekers. While several European countries, including Austria, Germany and Sweden open up their borders to refugees, Denmark once again chooses a significantly different stand, including considering abolishing the Schengen Agreement and reintroducing physical border control. The very same day the ads very printed, hundreds of refugees crossed the Danish borders, via Germany from the south, in their quest to find safety and security. The majority does not want to seek asylum in Denmark, not because of the ads, because no one read them, but because they know the official hatred towards Muslims here, and because most have family and friends in Sweden, which historically has had a very different approach to refugees. As one of the Syrian refugees put it: “We do not even want to be here… we know that we are not welcome. We just want to go to Sweden”. Another Syrian refugee put it slight differently when he said: “If I had been a dog, someone would have taken me in”. In one single day, hundreds and hundreds of refugees, including women and children, have walked along the Danish freeways on their way to Sweden, hunted by the police trying to avoid being registered here. Many Muslims and even non-Muslims, drove south in their cars to give food, blankets and clothes to the new refugees. Hundreds of cars drove all night, knowingly that this is illegal and going against their government, searching for hiding refugees to take them from the south, to the capitol, Copenhagen, which is the gateway to Sweden. Besides the different political agendas by different European states, it does remind us of an important fact; Kufr comes in different shades. Like there was a huge difference between Abu Talib and Abu Lahab, though both being non-Muslims and uncles to the Messenger of Allah, and like some of the early Muslims found refuge with an-Najashi, while he being non-Muslim, likewise you have different shades of Kuffar today. Unfortunately, we also experience hypocrisy like in the early days of Islam. This is obvious when we look at the passivity and direct rejection of helping, from several so-called Muslim countries like Kuwait, UAE and others, selling out their brothers and sisters. May Allah سبحانه وتعالى guide those whom He see fit, and destroy the hypocrites and the enemies of Islam. Next PostThe Child washed onto the Beach After Muslim Countries Refused to Grant Him Safety! !